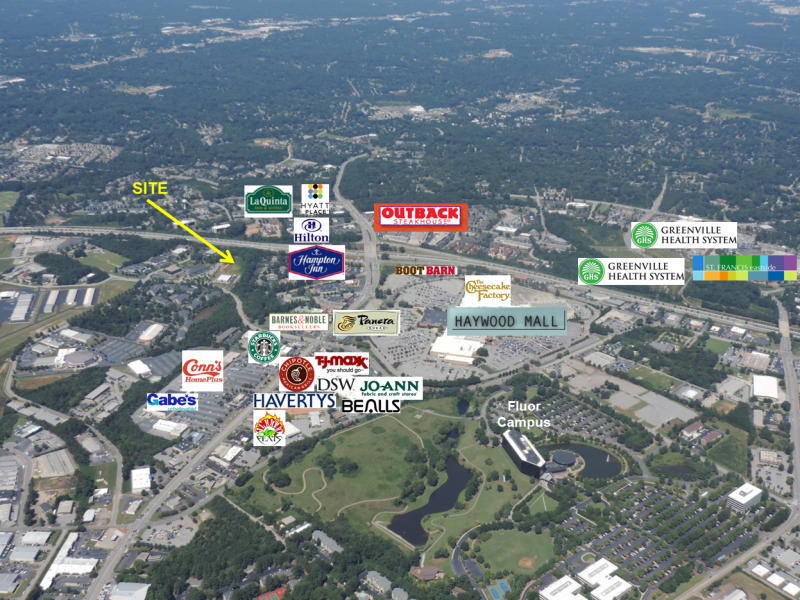 The site is near the dominant regional mall, Haywood Mall, other big box retail and national chain restaurants. 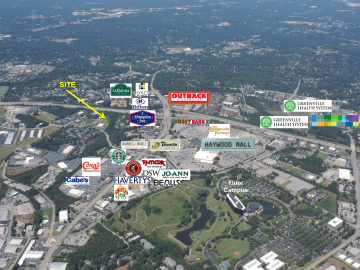 The site is across from the downtown airport and in close proximity to I-385, Laurens Road, Pleasantburg Drive and downtown Greenville. Property size is 5.6+ acres. Excellent access via Woods Lake Road. A new road can be constructed through the property to provide access to the interior parcel. The site offers excellent visibility from Woods Lake Road and I-385. 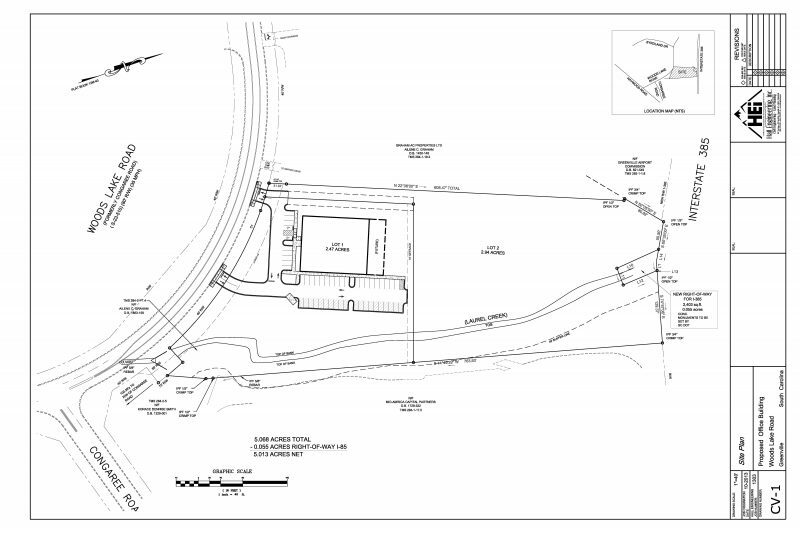 The property is site-planned for office and hotel use and carries a C-3 zoning designation.